This vintage black silk crepe de chine cream lace collar bias cut dress dates from the 1930s. 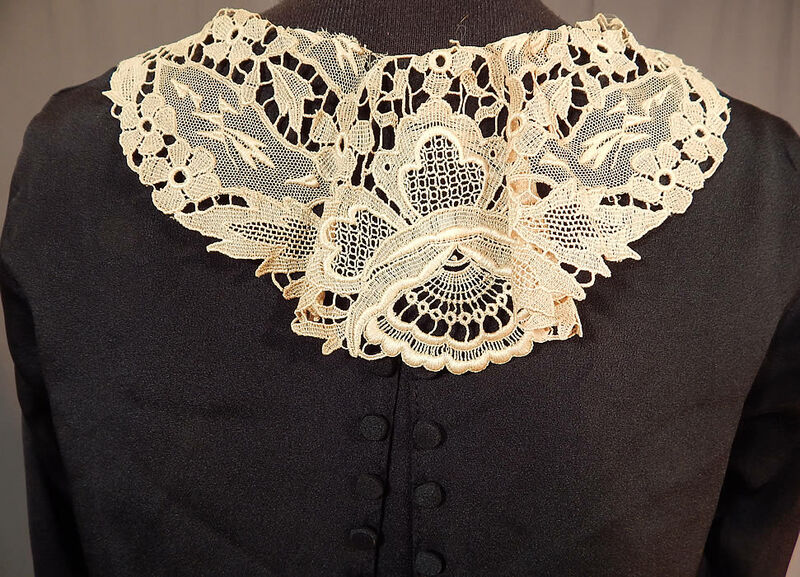 It is made of a black silk crepe de chine fabric, with a cream embroidered net lace collar trim. 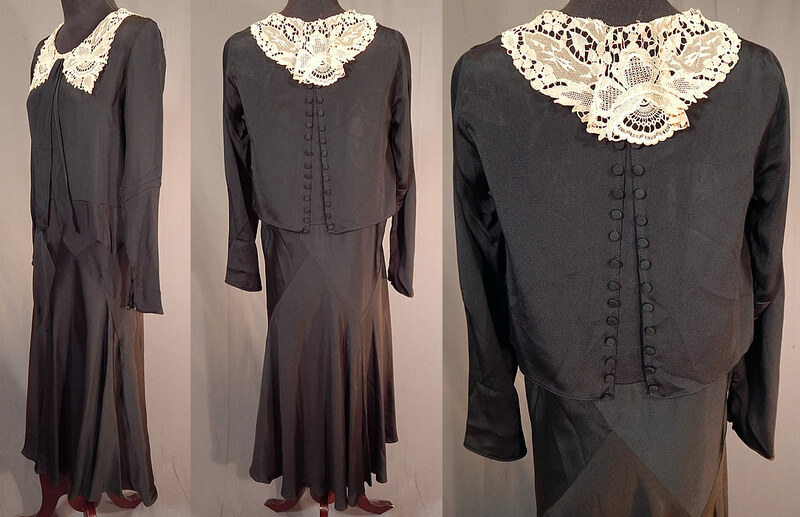 This beautiful black bias cut day dress is a shorter mid length, with a lace trimmed shawl collar, neck tie scarf, long sleeves, a draped cape back top with button trim accents, no side opening closures and is unlined. 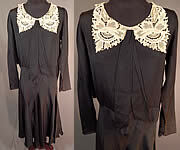 The dress measures 43 inches long, with a 32 inch waist, 32 inch bust and 21 inch long sleeves. 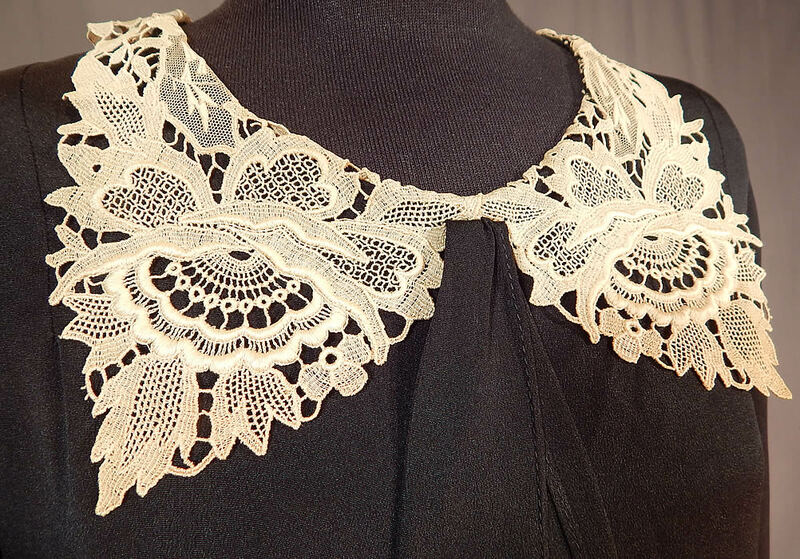 It is in good as-is condition with only a small frayed hole under one arm and a few small frays on the lace collar trim. This is truly a wonderful piece of wearable art!